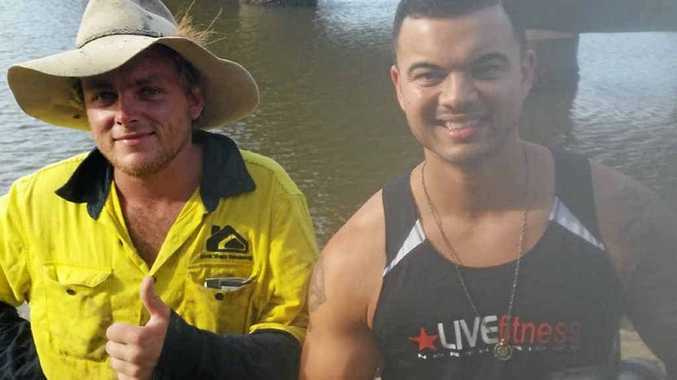 MACKAY man Brandon Hosie caught more than just a few barra when singer Guy Sebastian stopped in at Alligator Creek on Thursday. Guy had just driven from Rockhampton and decided to stop and take photos. Brandon was fishing under the bridge when the man who's one of Australia's biggest music stars walked over and asked him what he had caught. Brandon was unsure who it was at first. 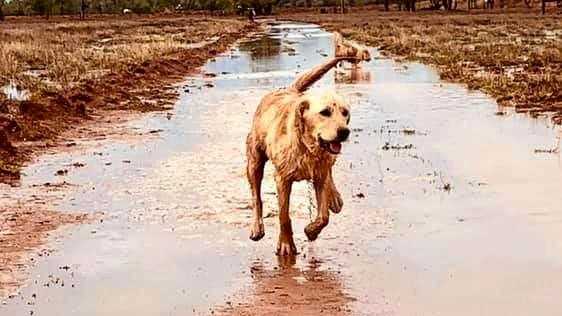 "I was just fishing and he came down and had a yarn," he said. "I said, 'you're famous aren't ya?'. He said, 'I'm Guy, I'm a singer. I'm here to do a concert in Mackay'. (Guy is performing at the MECC tonight). "He asked where he could get a few mud crabs for his band members, so I told him that the fish market might be open." Brandon was knee-deep in the water when Guy asked him if he was worried about crocs. "No mate, bull sharks mainly," was the reply. Brandon said Guy had no security guards with him but in his opinion he probably didn't need security as he "looked like he worked out a lot". Brandon and Guy talked for around 30 minutes, mainly about Sydney and what he does in his leisure time. "He likes fishing and going on his ski boat," Brandon said. "But afterwards I thought I should have asked him where his afro went!"